We are very pleased to become a partner of the National Voluntary Organizations Active in Disaster (NVOAD), an organization where members share knowledge and resources throughout the disaster cycle--preparation, response and recovery--to help disaster survivors and their communities. We would also like to thank Diana Roth-Smith for her excellent service as the NVOAD executive director. She has given much to NVOAD, and we wish her well with her expanding family. And of course, we would like to welcome Bob Liepold as the new executive director. The future looks bright for the national VOAD! 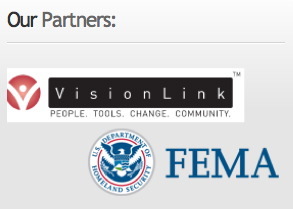 VisionLink is very pleased to participate as a national VOAD partner. Stay tuned for many significant developments as these two organizations work together.